India has more than 10 million children with autism. Today, India has more than 10 million children with autism, 10 million people with epilepsy, more than 150 million people with a need of intervention for mental illness, and many more with varied physical disabilities. And our country’s infrastructure is not ready to support them, according to reports. I have a developmental disorder called dyspraxia. A developmental disorder, as the name suggests, mostly happens when a child fails to attain certain developmental milestones during their early growth. According to recent reports, one in eight children in India may have a developmental disorder. Globally, one in six have a developmental disorder. Dyspraxia, also known as delayed motor coordination, is a condition in which your brain and your body parts are unable to coordinate properly. I started showing symptoms of dyspraxia when I was two, and still it took my parents over nine years to figure out what it is and what it means. When my parents discovered there was something wrong with me, the worry made them run from doctor to doctor. And, when everything seemed too confusing, they even tried to take me to religious healers. I was lucky; I lived in a relatively large city. But 71% of children with disabilities are living in rural areas which makes getting intervention an even more difficult process for them. At the age of 16, after seeing this problem not only in India, but on a global level, I developed an app called MyChild. It helps parents screen their child’s growth and development with the help of an intelligent algorithm and cautions them if it finds any delay in development. The app can help parents who have a child between the age of 0-24 months, and can analyse physical, neurological or speech delays. It is free to use globally on Android. While the Indian healthcare infrastructure is no doubt growing year by year, there is still a lack of specialists to deal with mental and physical disorders. When someone told my parents that the best way to find out more about my disorder was by visiting a psychiatrist, things got pretty difficult. Why wouldn’t it? 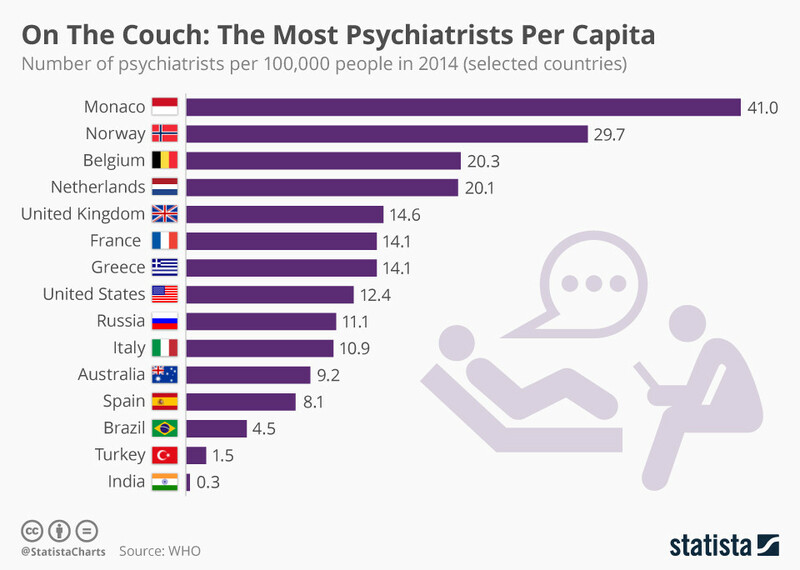 India just has one psychiatrist for every 400,000 people. India currently needs 11,000 psychiatrists and 54,000 mental health professionals, but in reality we just have 3,500 psychiatrists and around 7,000 people in the mental health workforce, which comprises of clinical psychiatrists, psychologists, psychiatric social workers, and psychiatric nurses. Not only this, according to WHO, India spends around 0.06% of its health budget on mental health. There has to be a conscious effort made by the Indian government and society together to become more inclusive towards everyone living with a disorder or disability. This is what I’ve learned as someone growing up with a developmental disorder in India, and someone who now works in that space attempting to help others. Firstly, there needs to be online and offline awareness and intervention programmes for physical and mental disabilities. My organization, We Included, creates content on a regular basis to raise awareness, and if the content is relatable enough, people on social media do engage. Secondly, there is a need to provide parents with professional counselling when their child is diagnosed with a disability. The sooner we help a parent bridge the gap between denial and acceptance of a child’s disability, the better they will be able to help their child in the future. And lastly, people living with disorders and disabilities need to be encouraged to share their story with those around them so that people can better understand how to support them. Because the biggest thing that I have realised is that it is important that we tell our own stories about our conditions, if we want people to stop making assumptions and showing unwanted pity and sympathy towards us. India is a great country. It can also be inclusive, if it makes a conscious effort to do so, starting today.